13 Insane Penguins and Squirrels: Friday night sew in. I have been workinging this on Friday and Saturday. 12:22 am Sunday it is finished. 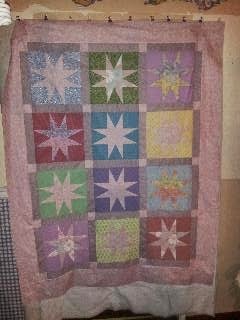 It was a simple and fun quilt to make.I don't usually work on pastel quilts. I am a high contrast type of person. It is nice to know someone will like this. Next step is to quilt and bind it. I've popped over from FNSI. So glad I did! 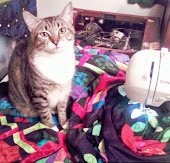 Your quilt is just gorgeous! What's happening on the quilting front.